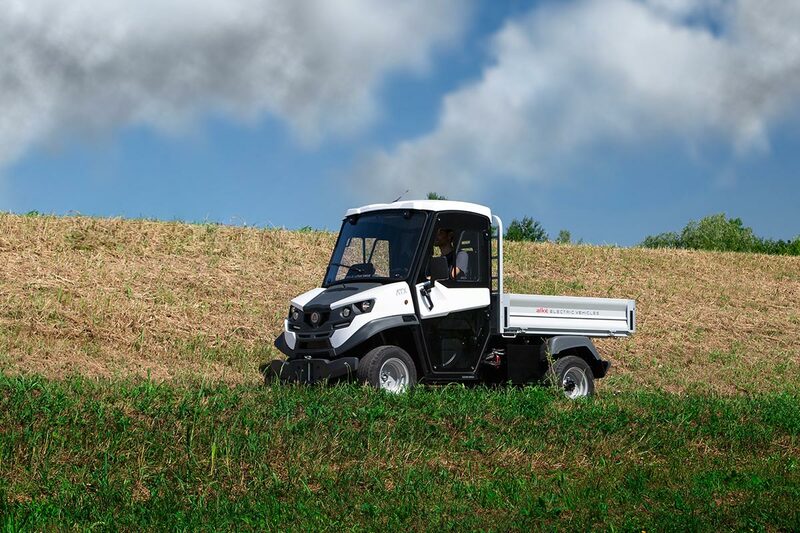 The range of ATX330E zero emissions vehicles matches robustness and power for the toughest off-road jobs and performance and agility necessary for urban applications. Unique versatility in its category. 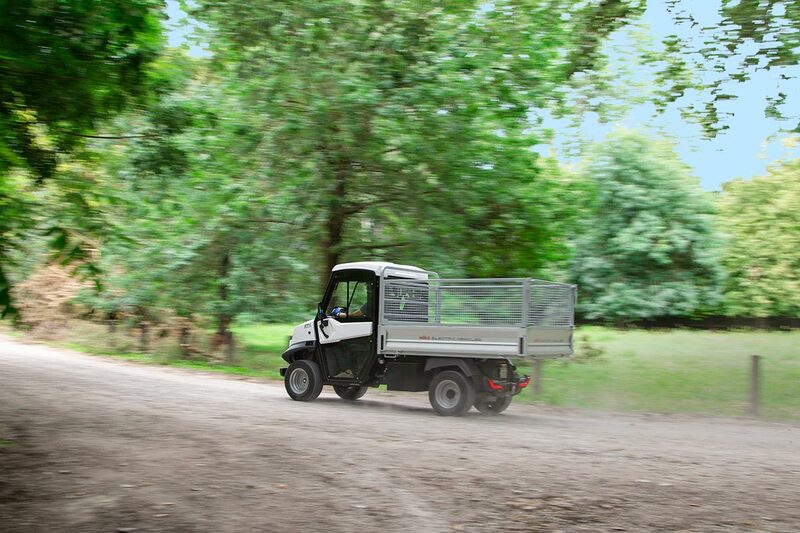 ATX330E vehicles are the best answer for those off-road or urban jobs where flexibility and high load capacity are demanded. 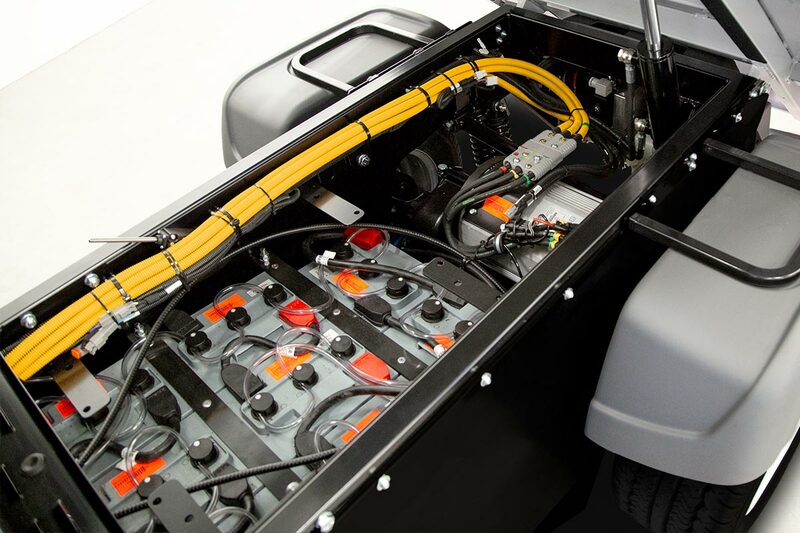 The electric motor AC 48 V guarantees a high level of performance and remarkable energy saving as well, thanks to its powerful and regenerative braking with energy recovery. This mix, with low maintenance requirement, ensures reduced operational costs and high profitability for your business. 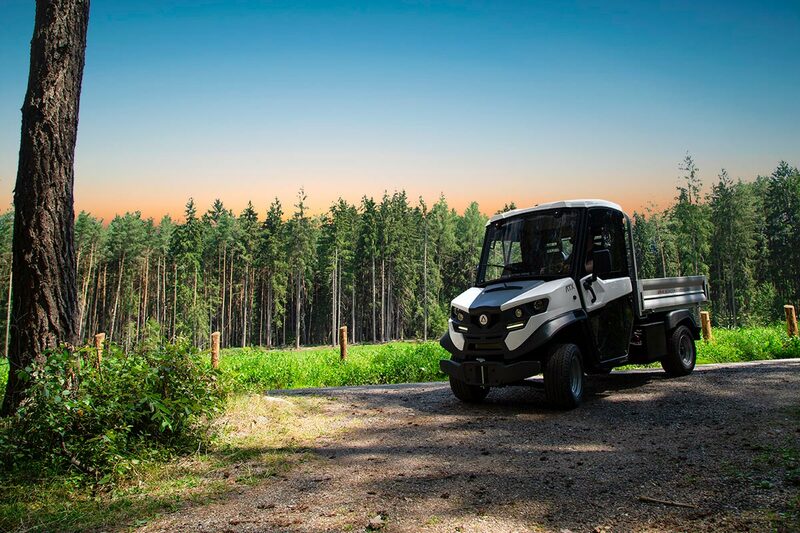 Meanwhile, 1.575 kg of loading capacity, 4.500 kg of towing capacity (in private area) and the negotiable slope of 35%, together with small dimensions make the ATX330E an agile and robust electric vehicle, the best solution even in toughest conditions.. 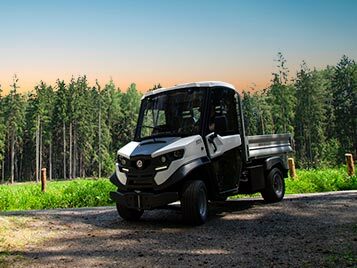 The ATX330E electric vehicles' range delivers outstanding productivity in tough environments: comfortable and precise driving thanks to the front and rear suspensions, off-road tires and a traction equivalent to a four-wheel-drive diesel vehicle. Also the best on-road partner. 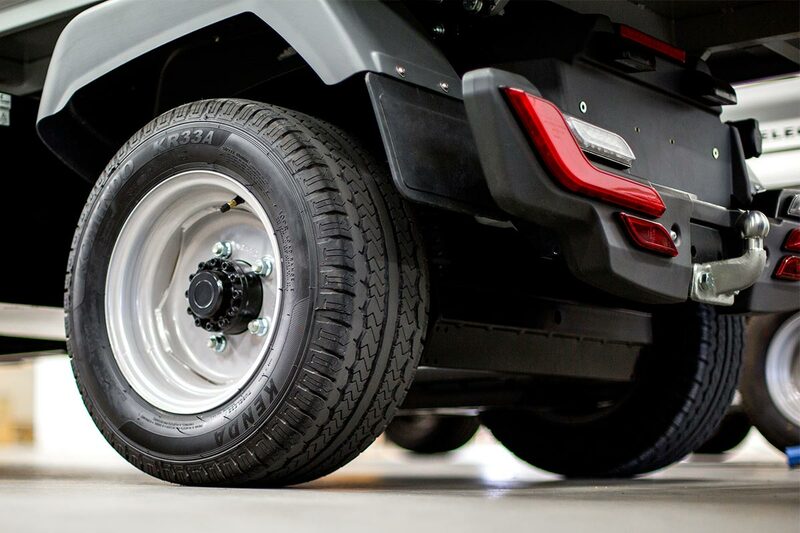 On-road applications require electric vehicles able to offer high manoeuvrability, power, load and towing capacity as well. 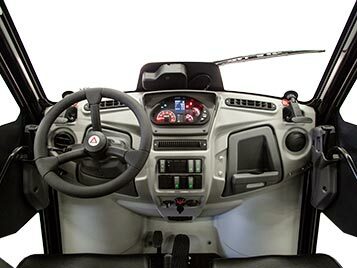 The ATX330E, approved at European level for road circulation (category N1), is your best partner. AC 48 V electric motors AC motors combine high performance with optimized energy consumption. 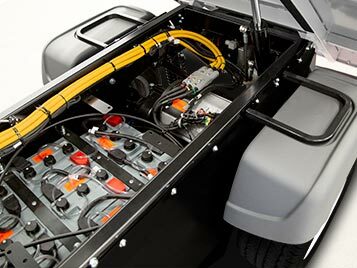 Power: 8 kW Power and torque available for professional and intensive use. 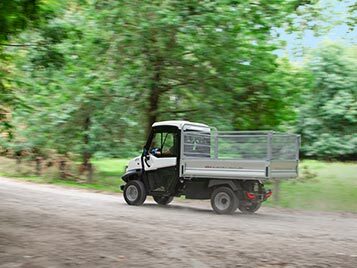 Negotiable slope: 35% GThe Alke' ATX models are probably the only electric vehicles in their class to maintain high performance even in the presence of slopes and difficult land. 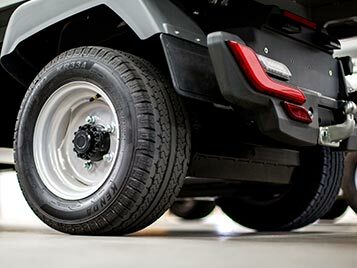 Regenerative braking The motor braking with energy recovery ensures high safety standards and perfect descent manoeuvrability, as well as lowering consumption. 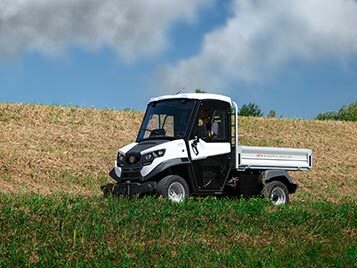 Load capacity (chassis): 1.575 kg The high load capacity is guaranteed by a robust chassis.